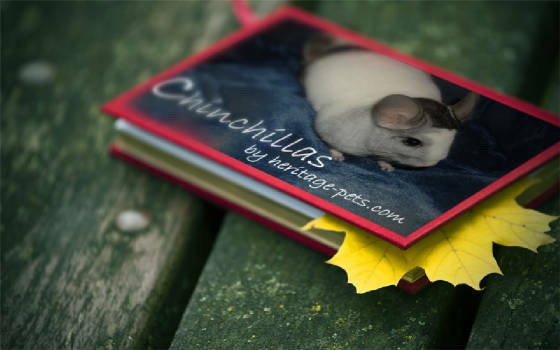 Click here to see what chinchillas we have available. Chinchillas are indigenous to the high, arid regions of the Andes Mountains in South America. They were first introduced to the United States in 1923 by a mining engineer by the name of M. F. Chapman. He caught eleven chinchillas and shipped them to the United States where they gained popularity and numbers as they descended. They are members of the rodent family, but unlike most rodents they have a long gestation period of 111 days. The kits are born with full coats and their eyes open. The life expectancy is up to 18 - 20 years. They are very social creatures and are happier with a cage mate than on their own. Being that Chinchillas are a colder climate animal and cannot tolerate high heat, they are most comfortable being kept in a draft free place with a constant temperature between 60 to 79 degrees Although the wild Chinchilla (referred to as a standard) is grey, due to selective breeding, pet chinchillas are now available in a multitude of colours. Here you will find a listing of some colour categories of mutations. Please note: "Heterozygous" means that the chinchilla is a carrier of more than one type of gene but that only one of the genes, the dominant one, is being expressed. This type of chinchilla can produce offspring however, that look very different from it because the recessive genes could be passed in breeding. "Homozygous", on the other hand, possess two dominant genes or two recessive genes that express a color trait. Standard grays have two recessive gray genes and homozygous beige possess two dominant beige genes. underside is an ebony carrier. Black Velvet: They are characterized by very dark heads that gradually turn to gray toward the underside. They have black eyes and ears, and white undersides. They have black stripes on their paws. Heterozygous Beige: They have a cream colored coat, ranging in hue from light cream to a darker beige color. They have red eyes, pink ears, white paws and undersides. Sapphires: They have pink ears and noses, black eyes and a blue hued coat. TOV Beige: They are offspring of black velvets and beige and have a light or dark beige tone with a deeper brown head that gradually gets lighter toward the underbelly. They have reddish eyes, pink ears and a white underside. Mosaic: White chinchillas that do not possess even coloring but instead have patches of color not uniformly distributed are called mosaics. Heterozygous Ebony / Charcoal: Characterized by dark, black coat on top with a gradual lightening of the coat toward the stomach, usually showing some gray here. The stomach is dark however, usually a blackish, gray mix. They have dark eyes, ears and paws. Violet: Named for their light gray, purplish coat and a white underside. Silver: Wilson whites that have enough gray hairs present in an even fashion about the head and tail are called silver. Pink White: Instead of dark ears and eyes, pink whites have pink ears and red eyes. If it has patches of beige, it is known as a beige/white mosaic or Starlight. They look very similar to hetero beige but are generally a lighter cream color. Their eyes are not as deep a red as with the heterozygous beige and there is more of a white iris visible in the eye. Homozygous Ebony: This mutation is jet black all over, including the stomach. Water: A source of fresh water should be available for chinchillas at all times. A bottle is recommended rather that a bowl, as it is much more sanitary. A bottle that hangs from the side of the cage is the best method to provide water. Hay: Though pellets provide the nutrients necessary for a healthy chinchilla, it is hay that provides the fiber that their system requires. Timothy hay must be available on a daily basis. Hay should be stored in a dry place to prevent it from going moldy. Vitamin Supplements: They require vitamins, calcium and minerals to keep them healthy. Calcium can be found in cuttlebones, in pill form, or by giving calcium blocks to your chinchillas. Vitamin C is found in pill form or in rosehips. Grooming: Chinchillas need to have dusts baths to keep their coats in good condition. Chinchilla dust can be bought at most pet “specialty” stores. It is a special dust and should never be substituted with sand etc.. Chinchillas have the finest fur of all the mammals which makes them feel extremely soft to the touch. They are very clean with no noticeable odor and their dense fur is not inviting to lice, fleas and other parasites. However because of their dense fur it attracts moisture and holds it in. Therefore they must be kept in a dry location and clean Chinchilla specialty dust must be available to them at all times. Teeth Care: Chinchilla teeth grow continuously. That is why you will find your chinchilla chewing every chance he gets. To help them keep their teeth trim you must provide a block of natural untreated wood for your pet to chew on. Housing: Although a chinchilla cage should never be smaller than 3' L X 3' W X 2' H, you should always provide all cage pets with the largest cage you can accommodate. Chinchillas are active little pets and they do enjoy exploring so, additional platforms and climbing areas are usually most welcomed. Sleeping Den: In the wild Chinchillas make small dens under rocks so to help them feel more secure, be sure to provide a sleeping hut for the animals’ privacy. Sleeping dens can range from small cardboard boxes to a variety of plastic and wooden houses that are sold in Pet “specialty” stores. Bedding: Furnish the floor with natural corn cob bedding or untreated wood shavings. Chinchillas’ have a tendency to taste everything. Make sure the bedding you use does not contain paint, weather treatment, or any type of lacquer/ varnish resins! Another good choice for bedding is a soft wood pellet litter which is non-toxic, and absorbs moisture which helps to keep the cage drier. Avoid cedar or chlorophyll shavings as many breeders have linked these products to respiratory diseases and liver disease. Before using any new products for your pet, always read the ingredients and ask the retailer to suggest something that meets your needs.